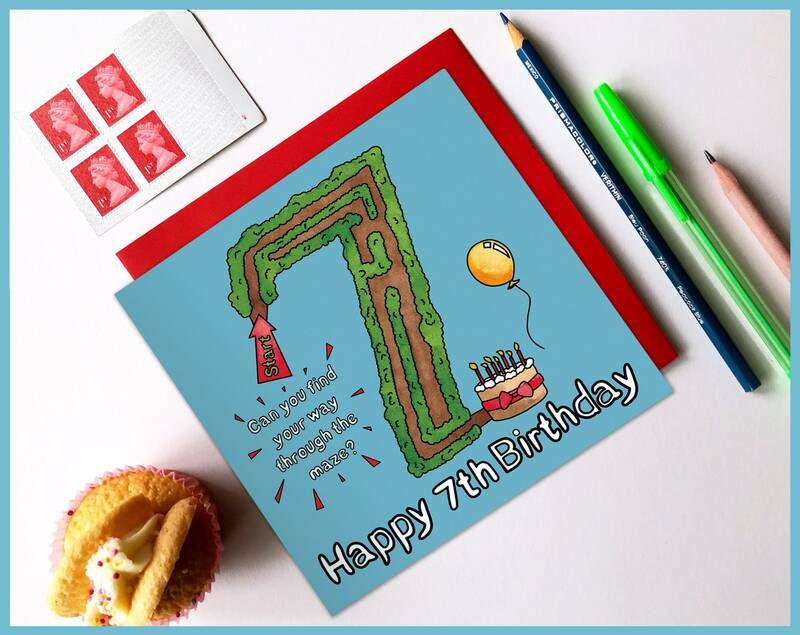 Say 'Happy 7th Birthday' with this aMAZEing activity birthday card! 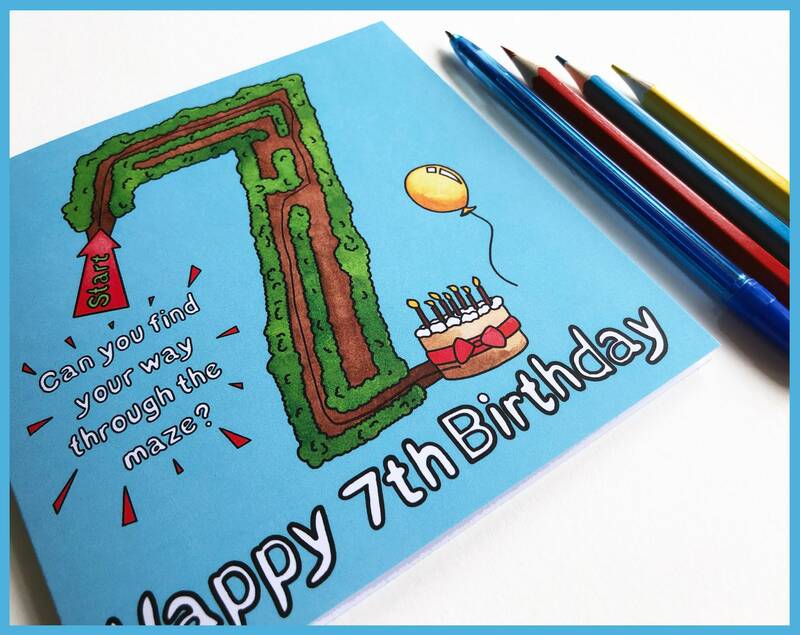 Can you find your way through the maze? Don't worry, if you get stuck the answer is on the back! 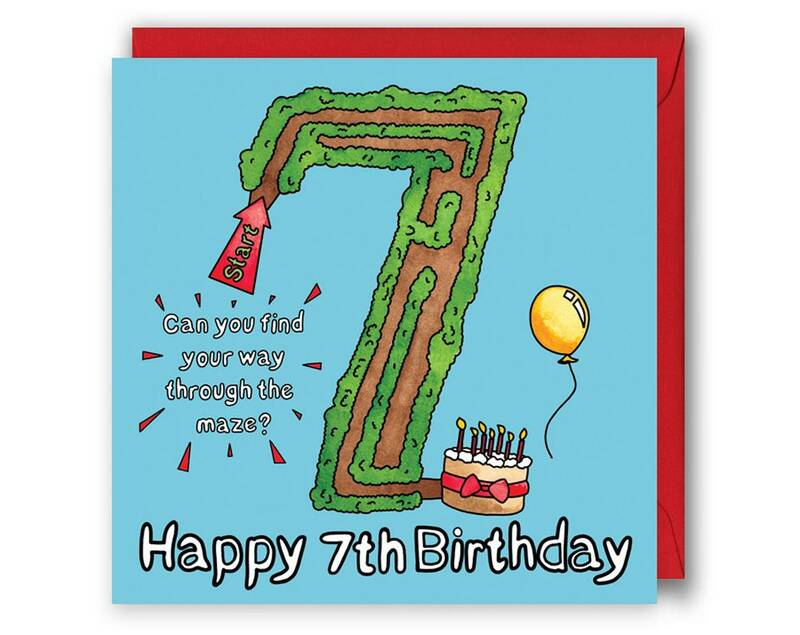 This eye-catching 7th birthday card is perfect for both a boys and a girls 7th birthday. 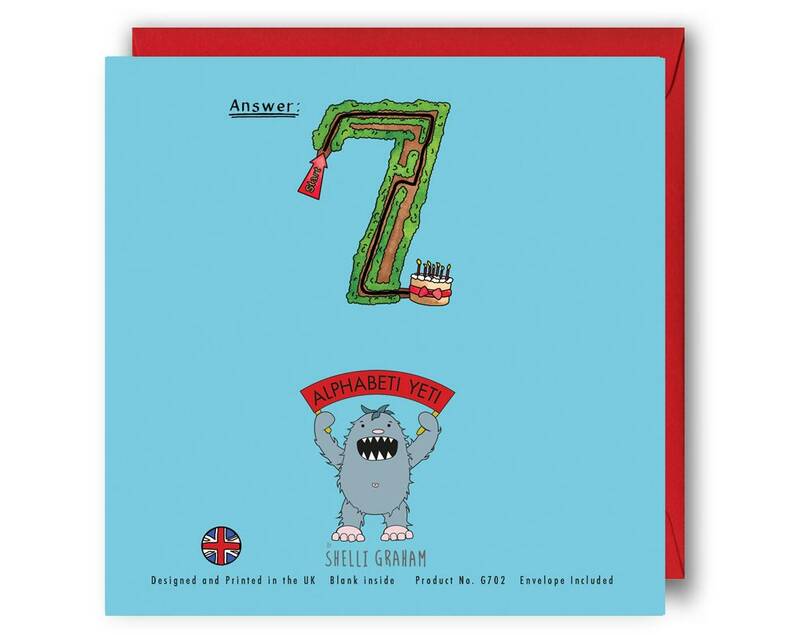 This new and exciting range of 'Activity Cards' covers numbers 1-10. 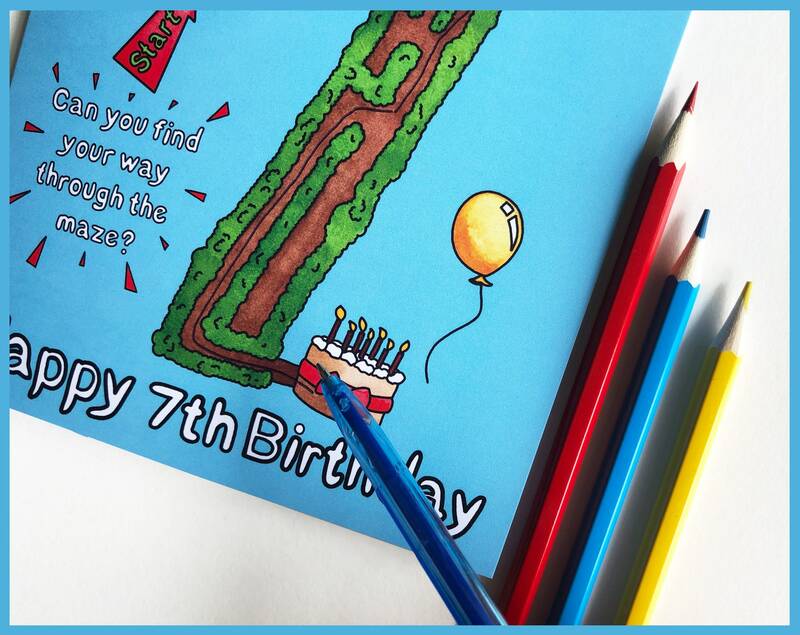 Each card in this series also includes a fun, age appropriate activity such as 'a 4 piece jigsaw puzzle', 'spot the difference' and 'can you find?' 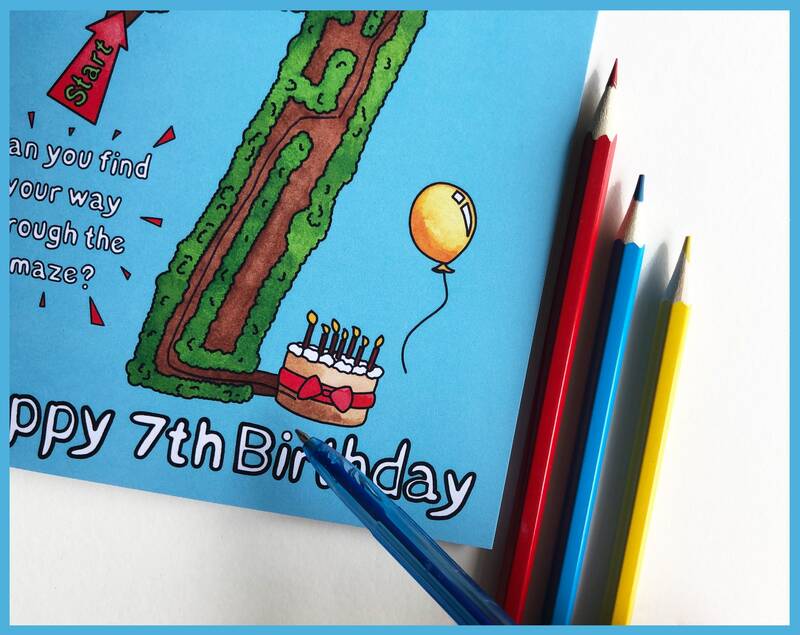 These quirky puzzle birthday cards are printed onto a high quality uncoated board. The surface of this specialised board can be written and drawn on, with felt-tipped pens, coloured pencils and wax crayons. 350gsm card is used for high-quality greetings cards that last. The card is blank inside for your own message and the card comes with a red paper envelope. Cards measures 148mm x 148mm, plus its suitable for letter post. PLEASE NOTE: The above shipping times are estimated, not guaranteed. They are based on the guideline provided by the Royal Mail and the average shipping times customers have reported back to me. International shipping times may vary slightly, especially during the holidays. Can’t find what your looking for? I take custom orders too! Just send me a message with your request and i'll get back to you as quickly as I can.